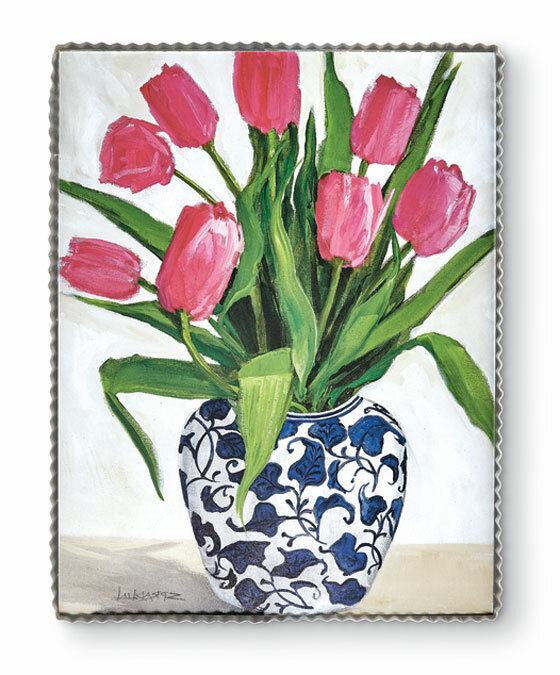 Add a burst of spring color with our wall art of dark pink tulips in a blue and white vase. The art is encased in a metal frame with hanging hardware on the back. Formerly $55, now 40% off. Discount may not be applied to prior purchases.